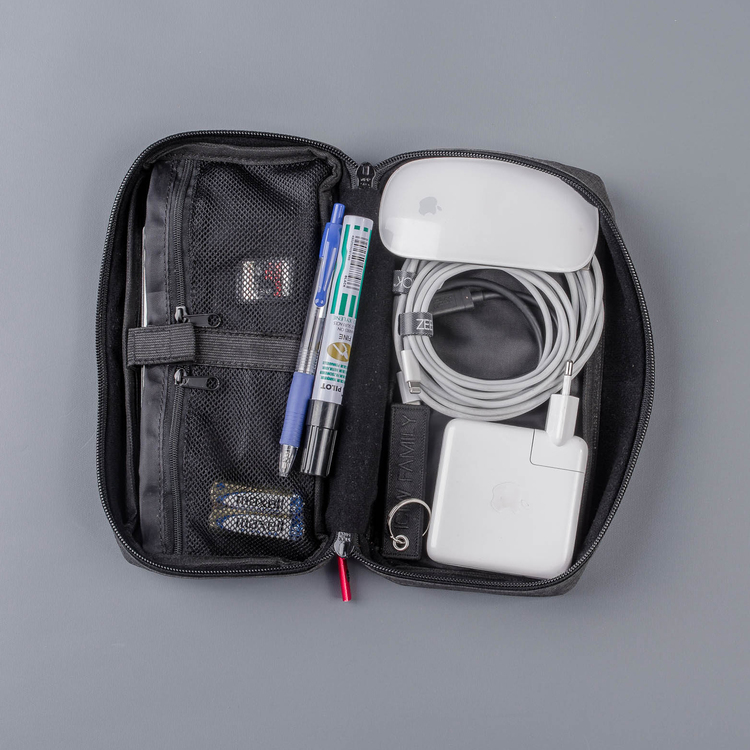 The Tech Organizer is carefully designed to help you keep your tech organized and sorted into one single place. 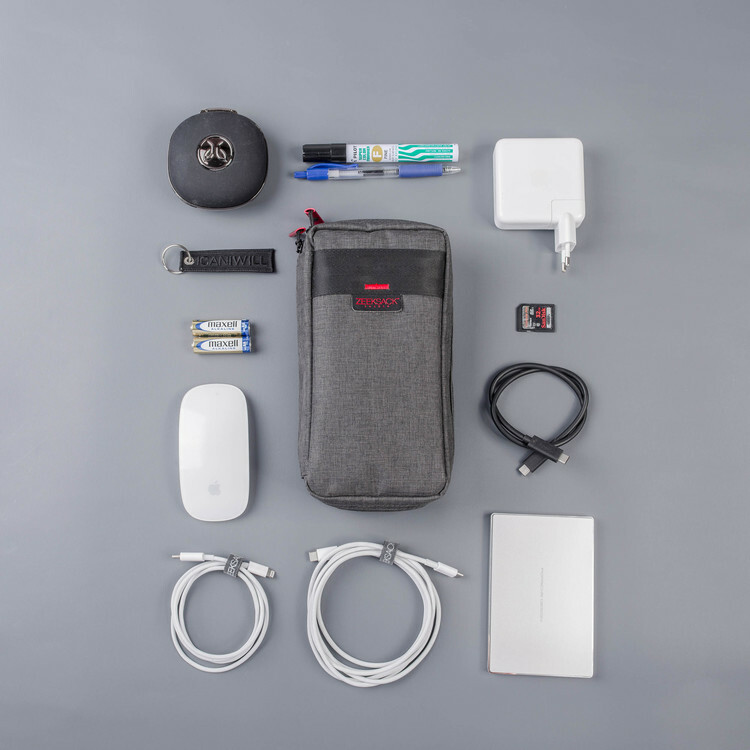 Never travel with messy cables again! 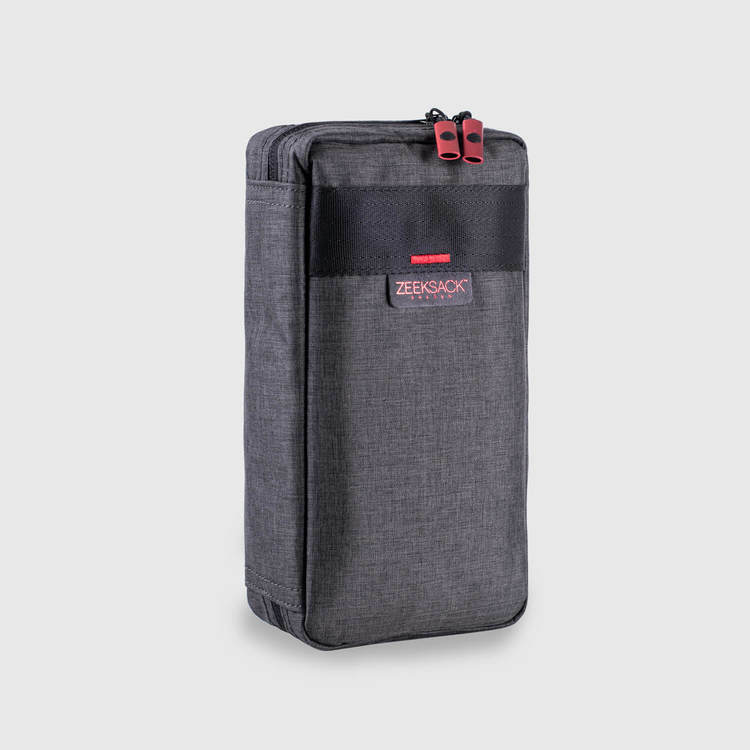 The Tech Organizer is fitted with stable foam and faux-fur lining to prevent scratches and bumps to your favorite tech accessories. 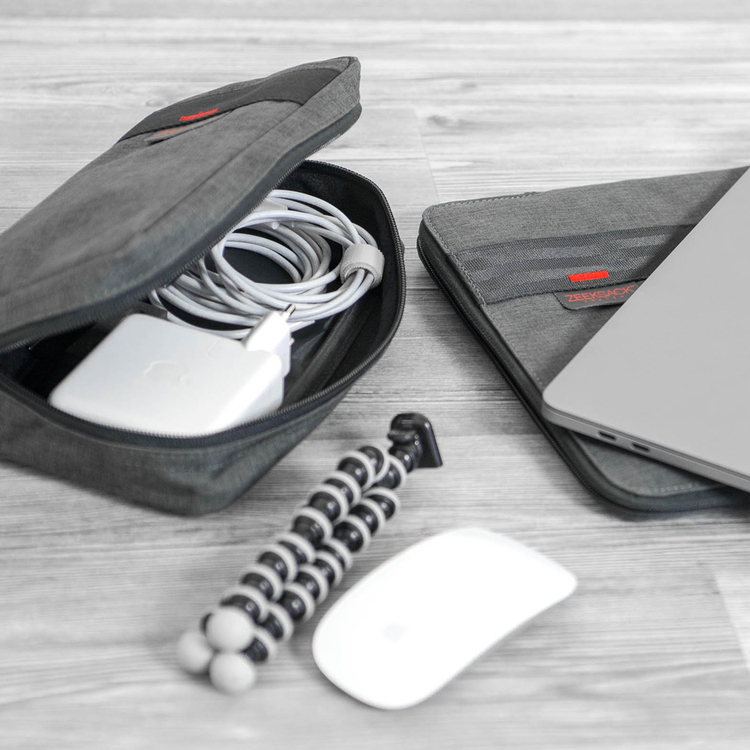 The Main compartment is perfect for your laptop & phone chargers and cables. 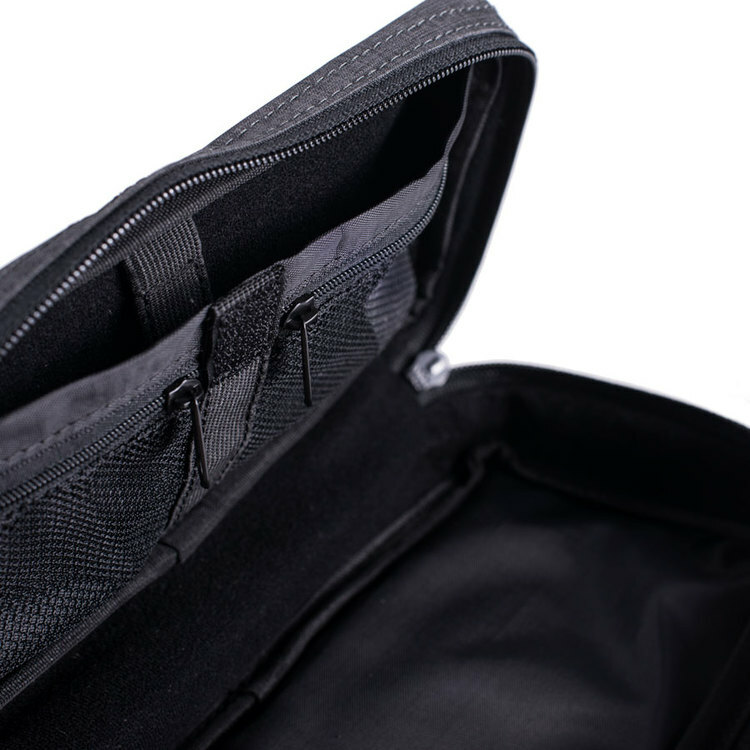 Top pocket fits your external hard drives and the two small pockets for USBs or Memory Cards. The ZEEKSACK™ VEOA Collection is designed for effective space, safe transportation and topping it off with great heather colors. 1 Externad HD, Laptop Charger & Cables. Memorie Cards & USB's.